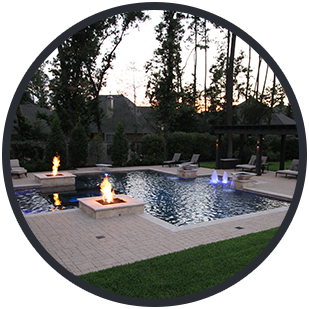 At Hipp Pools, we believe pools should be unique expressions of individual style. 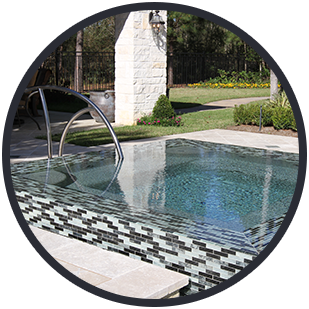 We meet with you in your home to discuss location, function, and style before crafting custom pool and spa designs that fit your exact needs. Make your pool stand out from all others with special swimming pool water features. From simple laminars to extravagant waterfalls and everything in between, we can make your pool one-of-a-kind! Few people take the time to truly relax. But as a pool owner, you’re one step ahead of the curve. Hipp Pools is ready to make your entire backyard the oasis you desire so that you can make the most of your downtime. When you have Hipp Pools take care of your pool maintenance and cleaning, you'll experience less downtime and get more laps in. Let our professionals handle your pool service! 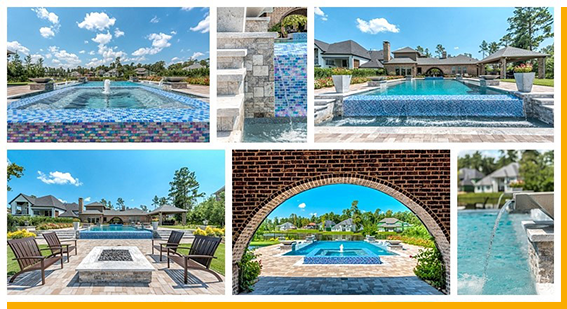 [readmore-slider]Hipp Pools specializes in custom pool design, construction, service and maintenance, and has been proudly serving The Woodlands, Spring, Houston and the surrounding areas since 2003. We offer a wide range of services to completely transform your backyard into a beautiful outdoor retreat, and we’re dedicated to ensuring the entire process is enjoyable from start to finish. If you’re in the market for a custom pool or spa designed and built specifically for your needs and wants, look no further than Hipp Pools. Whether you’re looking to incorporate a more traditional pool with a classic feel or wanting something more ornate with extra water features, we can create the perfect backyard oasis that complements your home. All of our pools are outfitted with eco-friendly and energy-efficient equipment designed to keep pool ownership as easy as possible. Once your pool is complete, you can count on the Hipp Pools service department to keep your pool swim ready all season long. We offer routine maintenance packages that are sure to fit your needs so your time can be best spent where it belongs – in the water. Our well-trained service professionals will care for your pool as if it were their own, and they remain dedicated to making sure your pool runs as efficiently and effectively as possible, handling any problems that may arise in a timely manner. 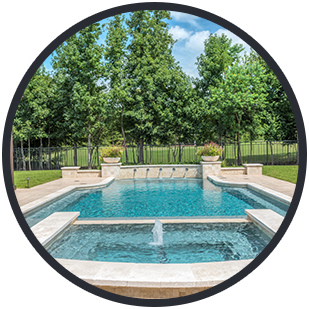 As the premier pool construction company in the Greater Houston area, Hipp Pools offers much more than just beautiful designs and quality construction. We’re dedicated to 100 % customer satisfaction and our long-standing reputation shows you can count on us to provide you with all of your pool care needs, from the beginning of construction to long after your pool is complete. Contact us today to speak with a design specialist and learn more about how Hipp Pools can make all of your backyard dreams come true. Hipp Pools is for hip lifestyles, and we look forward to being there for you. 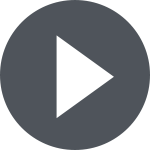 “The owners of Hipp Pools, Stacy & Michael Hipp are very personable and reliable. Michael was present for much of our pool build and was very attentive to details. It's been just over two years and we continue to use Hipp Pools for our maintenance/cleaning services. Excellent pool company!” Mark H. Tomball, TX, “We could not be happier with our decision to use Hipp Pools to build our pool. Everyone is friendly and patient and the equipment is all state of the art. We have had our pool for over a year now and Hipp Pool does our weekly maintenance. The pool is beautiful and every detail was well executed. 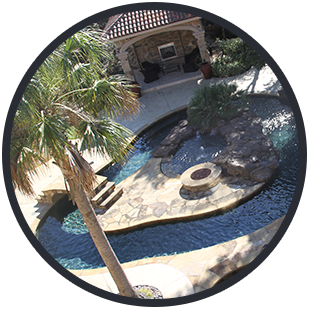 We love it and highly recommend Hipp Pools.” Denise R.